Just trying to do some map algebra, but get extent and cellsize errors. 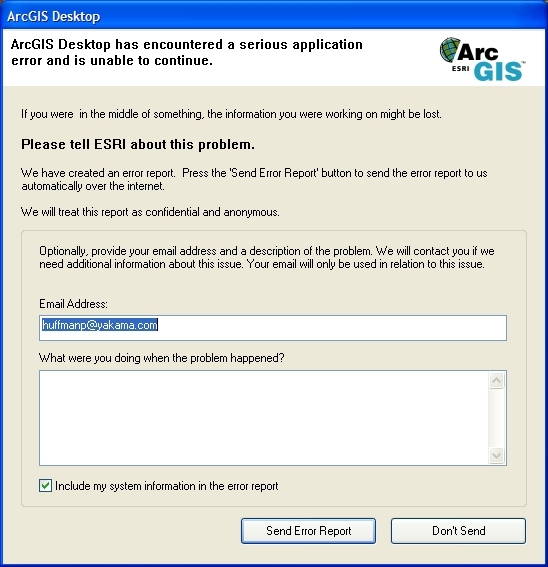 but when the line setting the extent to an existing file env.extent = "c:/avdata/topsim/utm/accumtest/accum" was followed by the map algebra line, ArcMap 10, sp3, crashed hard to the "ArcMap has encountered a serious problem" reporting window. So I tried to set it to the extent of the current dataframe, lines 7,9,10. 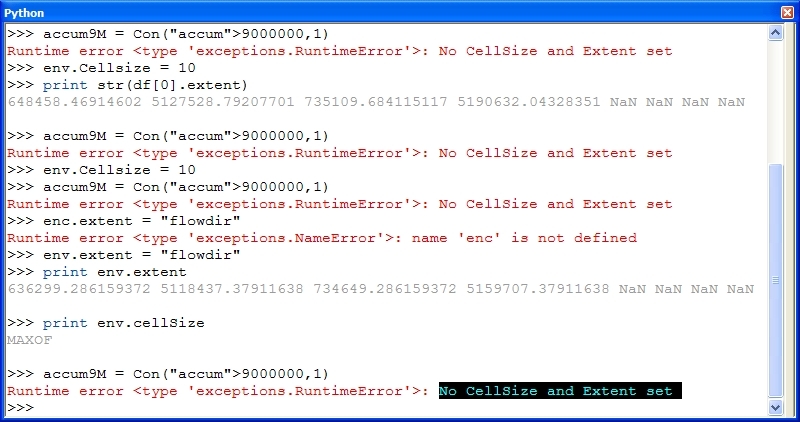 But only get a "No CellSize and Extent set" run time error. But when I try to print out the extent, it looks valid, and the cellSize seems to be set to MAXOF. What did the error report say? Now I see in the docs for con that there are two different syntax constructions for con, one with a where clause and one without, but the one without a where clause requires the Raster function. And this is different than in other map algebra environments. I tried the line in python without Raster, and I got ArcMap to crash again. This ran to completion, creating a new accumulation raster, with values set to 1 for true and 0 for false. This ran, creating a raster with only the data that tested true, the rest nodata.